I bought this product 1 week ago. The BBs I WAS shooting were G&G bio .20g, the container was a bag and was not very handy. So I went on airsoftgi and found these. First of all the container is awesome! The hight is roughly 12" and 3" wide. In the normal spots where the bottles break, they are reinforced with thick plastic. After a shooting test, these BBS are a lot more accurate than the G&Gs. At 50 feet it shot a group 3" in diameter! There was 10 shots discharged. the white color shows up in the grass but you can see them when they shoot (in the air). These BBs are quite impressive. 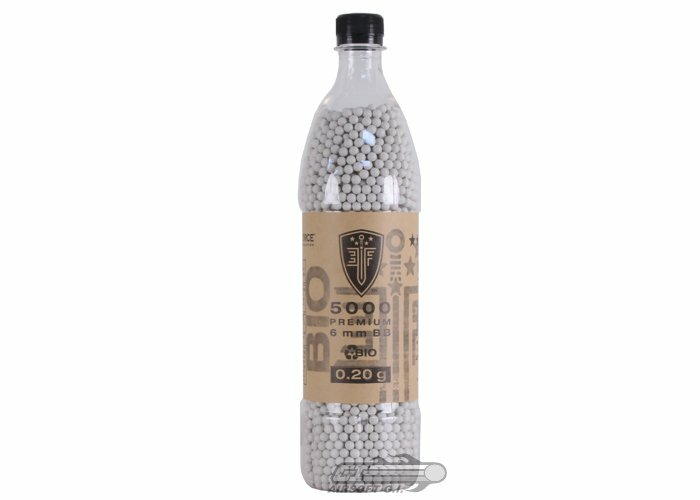 Very inexpensive for great quality biodegradable bbs, and I have never had any issues with them.